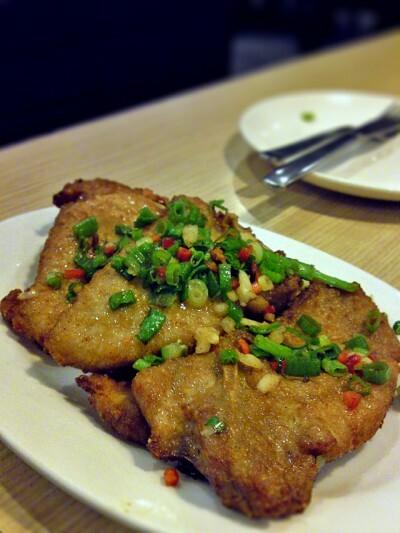 Home / Chinese Cuisine / Crystal Jade Kitchen – Finally Found An Authentic Salt & Pepper Spare Rib! 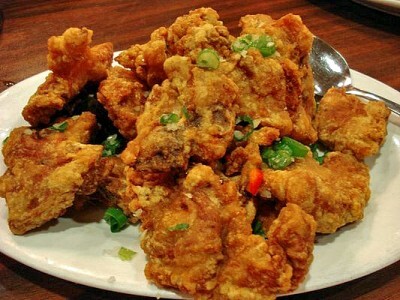 Every time I have a Cantonese meal, I would remember the days when I was abroad. In foreign land, the food that you grew up eating can be hard to come by and one would naturally look for the closest thing to flavours one missed the most and for me, Cantonese food come the closest. Unfortunately, when I came back, I realised that authentic Hong Kong flavors are something one will be really hard-pressed to find in Singapore. Apparently, the best Hong Kong chefs have gone to places like Toronto, London, Sydney etcetera. So these top chefs provide the shapes for HK food in those places while Singapore’s market gets all the twisted version from the rampant Hokkien or Teochew influence. In those places, Cantonese restaurants are run by Cantonese, Italian restaurants are run by Italians and Japanese restaurants are run by Japanese. You won’t find Chinese selling Japanese food or Russians selling Spanish food. In short, there are no ethnic food turf wars and you definitely can’t get away with selling food you know nothing about. The authenticities of food in such places are undeniably authentic. One of the best Cantonese dishes I’ve discovered outside of Singapore is the Salt & Pepper Spare Ribs. This is essentially nothing more than ribs marinated in wine and some flour, deep fried and then stir fried with spiced pepper salt and garnished with cut red chillies, scallions and garlic but I’m actually quite surprised by how difficult it is to find this dish in Singapore, or rather the really good ones. Even the good restaurants which are highly regarded for their authentic HK food in Singapore can’t seems to produce a good plate of Salt & Pepper Spare Ribs for me. I’m sure most of you don’t know that Crystal Jade can do a Salt & Pepper Spare Ribs because it is not on the menu. I was told by a friend that they do and so here I am to find out how authentic their Salt & Pepper Spare Ribs really is. For $10++, it came beautifully with generous scallion and chilli garnish at the top. For those who have not eaten Salt & Pepper Spare Ribs(the most authentic kind), this is how it will look if you are to buy it in Hong Kong(or authentic Cantonese restaurants in the west). It’s those little garnish at the top that can make it look authentic but somehow very few restaurants in Singapore does it this way. This came with that nice wine aroma that I’m familiar with and it has the right flavour, almost 90% there compared with the really good ones I’ve eaten. For taste and flavour, I’ve no doubt that this is the closest to the real thing I’ve eaten in Singapore. Conclusion: Salt & Pepper Spare Ribs is an authentic Hong Kong food that is hard to find in Singapore. Those that I’ve eaten in Singapore are very unauthentic. At Crystal Jade, it is as close as what you can get without flying all the way to Hong Kong. Not on the menu but order it anyway and the chef will know what to do. Like the food very much at all time. 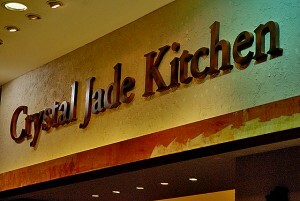 Really hope Crystal Jade group will consider open a branch in Sengkang.